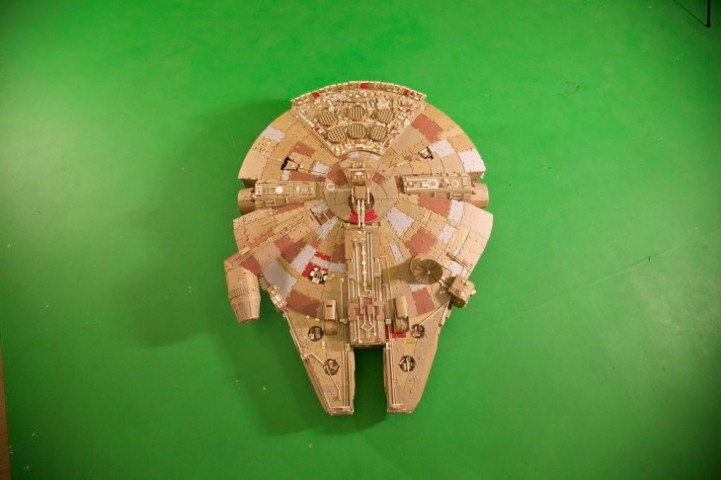 This is just a cardboard model of the Millennium Falcon, by Thomas Richner! 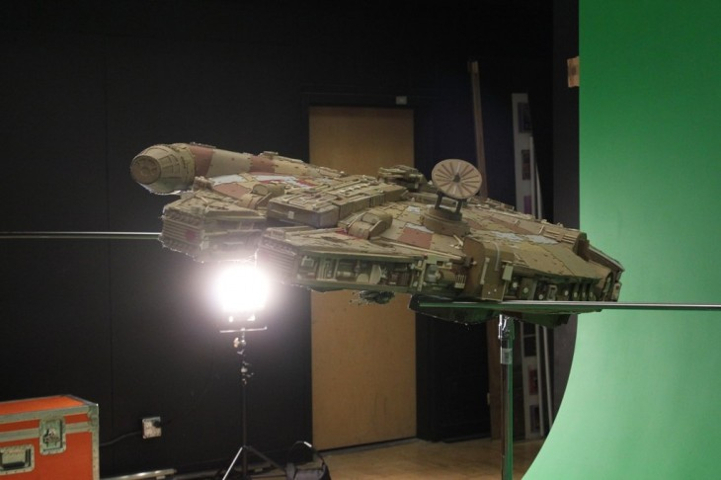 As we had showcased before – many of the original Star Wars vehicular crafts were works of physical art in the sense that they were intricate sculptural models (as opposed to CGI) made by the specialists at Industrial Light & Magic (ILM). 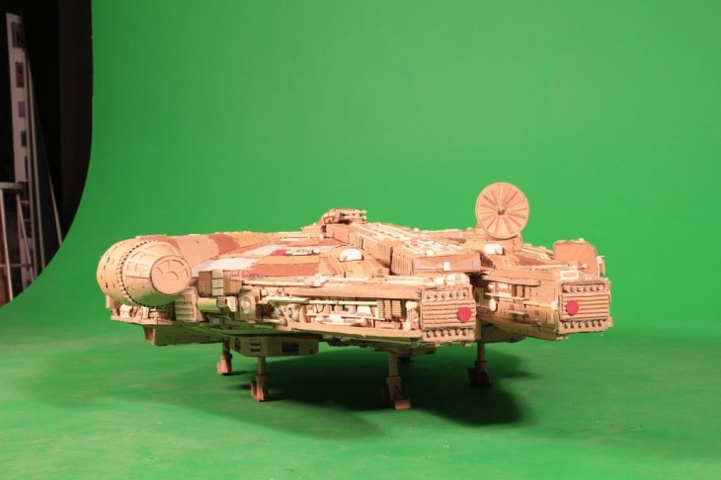 Animation artist Thomas Richner has captured this very same essence of intricacy and workmanship, with his accurate cardboard model of the one-and-only Millennium Falcon. 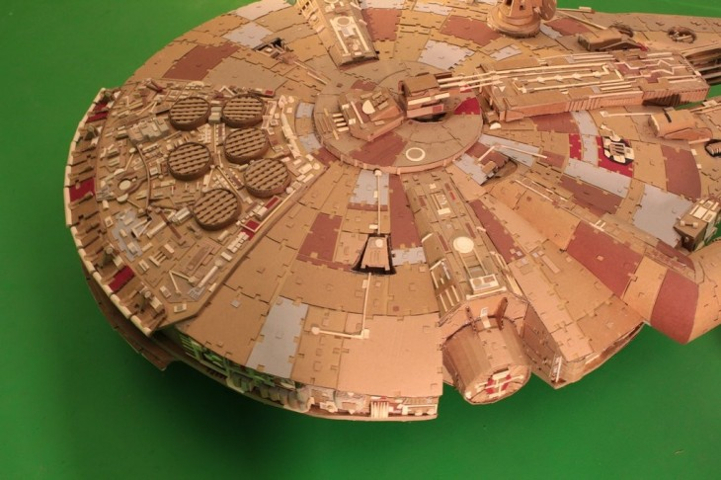 Touted to be made wholly from just cardboard, tapes and glue, the 5-ft long end result (achieved after 140 work hours) is fascinatingly impressive to say the least. 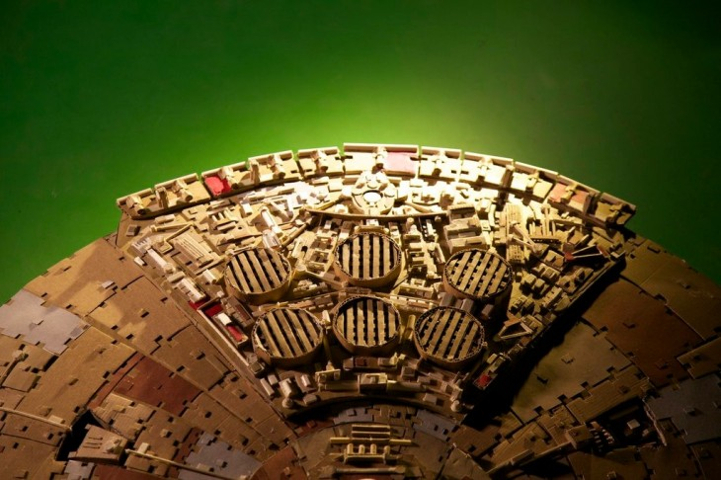 These numerous instances of precision can be comprehended from the array of six vents on the top side, the convolutions and etching along the surfaces, and the ‘piece de resistance’ of the design – a fully retractable landing gear. 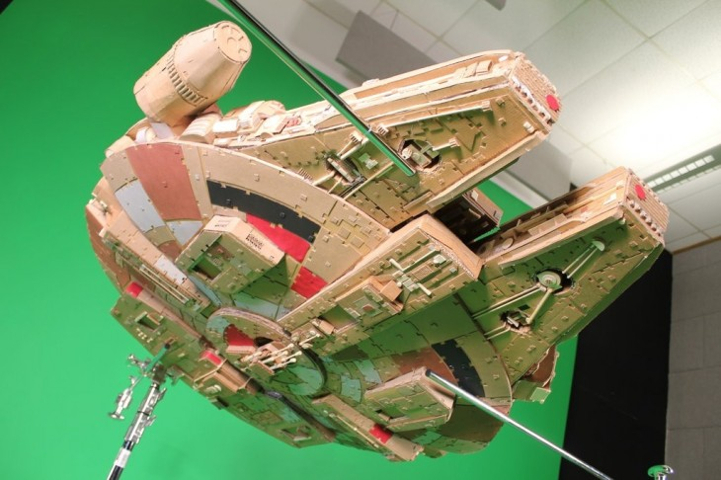 This scope visual of elaborateness was supposedly inspired by a myriad of original photographs, conceptual renderings, and even the collector items from the original Star Wars trilogy. 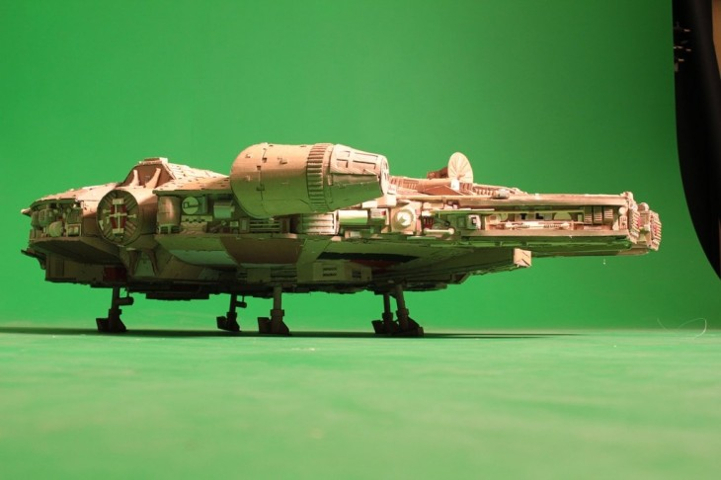 It is interesting to know that Thomas Richner is also an Associate Professor of Animation at the Columbus College of Art and Design. 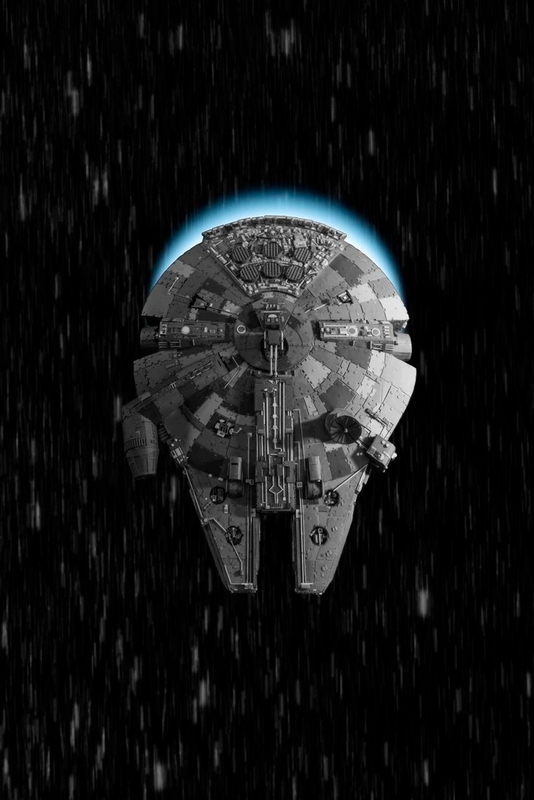 This perhaps explains the few sophisticated science fiction-influenced backgrounds in front of which the cardboard-made DIY Millennium Falcon exhibits its strong aesthetic ‘force’.